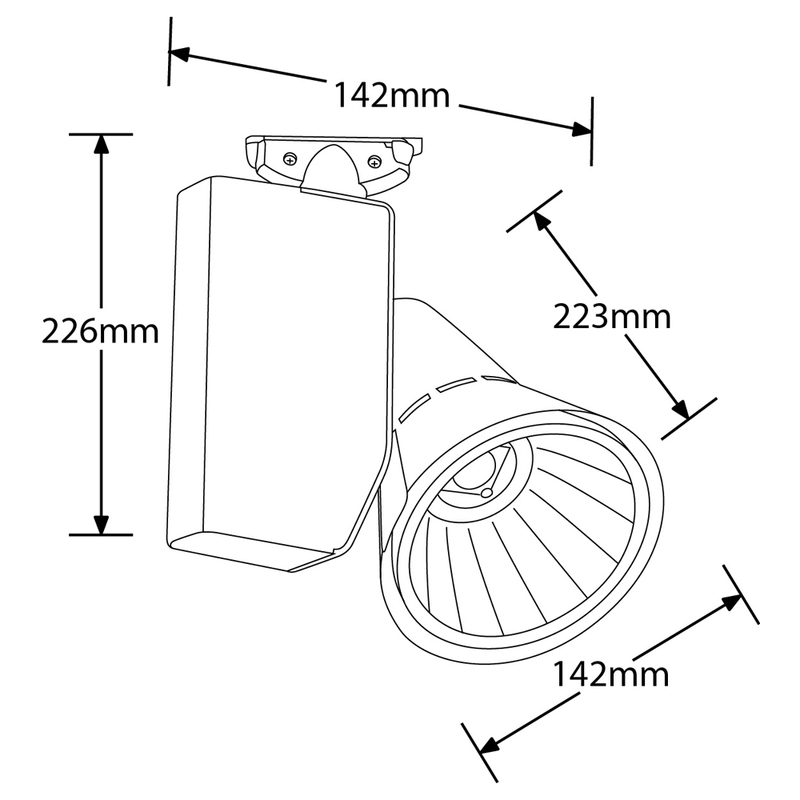 Part of the highly efficient Movi™ family of spotlights by Aurora which contains 3 recessed and 1 track design. Interchangeable reflectors are available in narrow, medium or wide beam as well as a fresnel lens delivering a pin-spot effect. 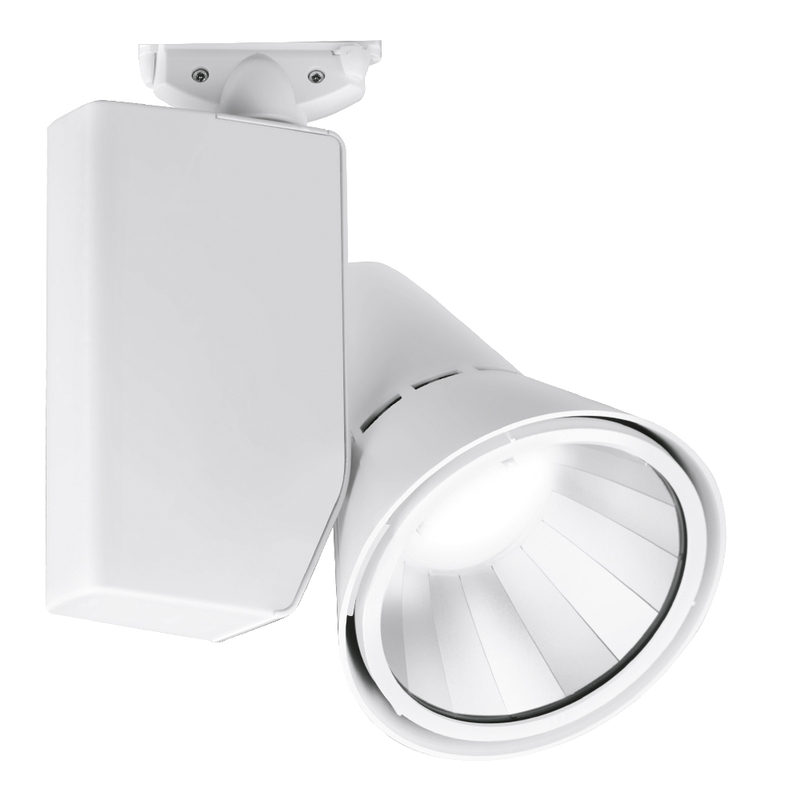 Features actively cooled efficient COB LED with a system efficacy of up to 100lm/W. Fixed output integral LED driver included, dimmable options on request. Available in White (RAL 9010), Black (RAL 9005), or custom Silver as standard, and in any other RAL to special order. Rotates 310°, heads swings 180°. Ra >80. Power factor 0.9. Superb L90 to 50,000hrs, fan lifetime 100,000 hrs. 5 year warranty.